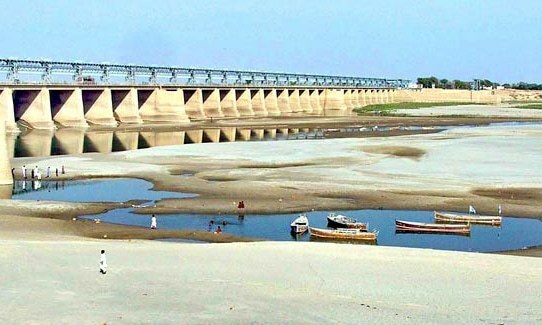 BADIN: Pakistan People’s Party (PPP) leaders have warned the federal and Punjab governments to mend their ways and provide Sindh with its due share of water resources. PPP leaders Gul Mohammad Jakhrani, Syed Ali Bux aka Pappu Shah, Bibi Yasmin Shah, member of National Assembly (MNA) Sardar Kamal Khan, member of provincial assembly (MPA) Mir Allah Bux Talpur, Haji Sain Bux Jamali, Haji Ramazan Chandio and others addressed a large public gathering at Mir Ghulam Mohammad Higher Secondary School’s ground in Tando Bago town on Sunday. They alleged that the federal government in connivance with Punjab was involved in stealing the water share of Sindh as people in the province were facing the worst water crises. They said that both the prime minister and Punjab chief minister were responsible for the water crises and other issues in the province. The PPP leaders said that they would block the roads leading to Punjab at Hatri Bypass in Hyderabad on May 16 and then they would proceed to Islamabad to stage a demonstration outside the parliament house and the Supreme Court of Pakistan to register their protest against the federal government. The further said that they were untied and would inflict a heavy defeat on the estranged PPP leader Dr Zulfikar Ali Mirza and other opponents in Badin and other parts of the province. They asked Dr Mirza to stop using foul and filthy language against party leaders. They assured the participants of the public gathering that nobody would be allowed to steal the water share of the province, while adding that they were trying to provide water to all areas of the province.